* This post is part of a new feature with the Bulletin called the Theory & Religion Series, where contributors are asked to discuss a book or essay by a particular theorist that they have found useful in their teaching and research in the study of religion. When I think of writers who have influenced my thinking as someone who studies religion, Pierre Bourdieu immediately comes to mind. Works such as Pascalian Meditations and others have proven useful for examining how social classifications, hierarchies, and power are reproduced in the social world and how religions play a role in such reproductions. I have also found Bourdieu useful for thinking about what materialist theories of individual and social change might look like. But long before I had ever heard of Bourdieu, and long before I ever imagined going to college (let alone becoming a professor who studies religion) there was Gang of Four’s album, Entertainment! But that wasn’t all I heard from Gang of Four that I would later read in elaborated versions in scholarly texts. In “Not Great Men,” they argued that the history books which fronted the “great men move history” theory of social change should be questioned. And in “Contract,” the singer laments that the perfect married life promised in Hollywood movies and newsstand periodicals may not actually exist. As a fourteen year-old who lived in a community where I knew very few adults who had university degrees (the exception being teachers), Gang of Four’s Entertainment! 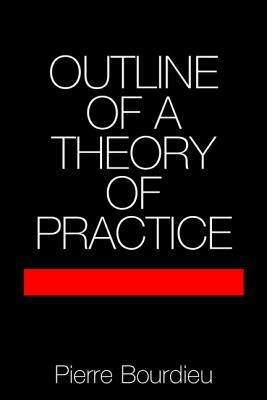 was my first introduction to what sometimes gets called “critical theory.” It offered me a hermeneutics of suspicion with a tight beat, driving bass, choppy angular guitar, and chanted repetitive lines. It made the ideas I would later encounter in scholars such as Pierre Bourdieu, Stuart Hall, and others already somewhat familiar. To this day, I still read, write, and research with the ghost of Gang of Four’s Entertainment! playing over my shoulder. Sean McCloud is an Associate Professor of Religious Studies (and American Studies and Communication Studies Faculty Affiliate) at The University of North Carolina at Charlotte. He teaches, publishes, and researches in the fields of American religions and religion and culture. His publications include Making the American Religious Fringe: Exotics, Subversives, and Journalists, 1955-1993 (2004), Divine Hierarchies: Class in American Religion and Religious Studies (2007), and he is co-editor of Religion and Class in America: Culture, History, and Politics (2009). His next book, American Possessions: Fighting Demons in the Contemporary United States, is forthcoming from Oxford University Press in spring 2015. This entry was posted in Pedagogy, Religion and Society, Religion and Theory, Theory & Religion Series, Theory and Method, Theory in the Real World, Uncategorized and tagged Contract, Critical Theory, Gang of Four, hermeneutics of suspicion, Natural’s not in it, Not Great Men, Outline of a Theory of Practice, Pascalian Meditations, Pierre Bourdieu, Sean McCloud, Stuart Hall, Symbolic Power, The University of North Carolina at Charlotte. Bookmark the permalink.